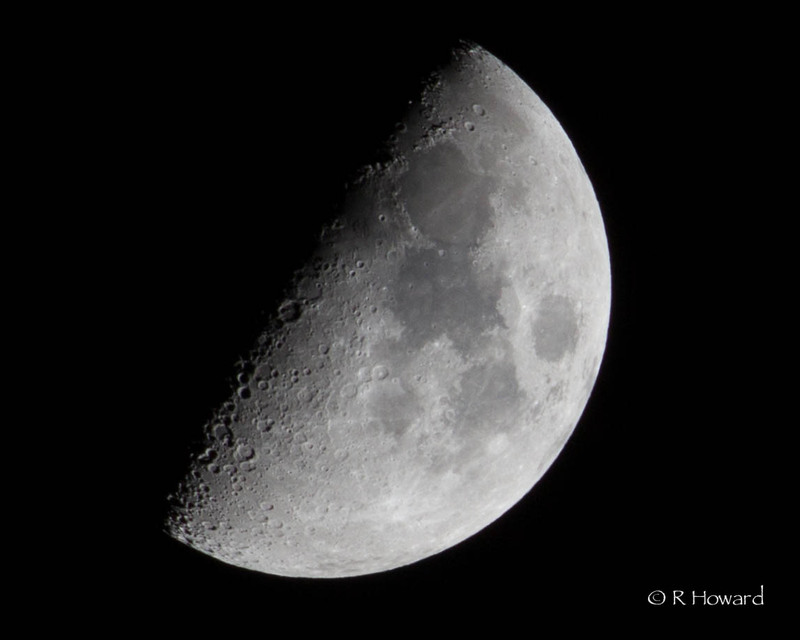 I borrowed my son’s 2X extender to capture tonight’s first quarter moon. He may or may not get it back. Quote from “Easy From Now On” written by Susana Clark and soulfully performed by Emmylou Harris. Thanks, Marcus. I was thrilled when I saw the detail of the craters. I love your moon photos!!! Sandi, thanks. The moon is one of my favorite subjects and I’ve been disappointed in my shots since I sold my Nikon and the 300 mm lens. I couldn’t quite get the image with my 200 mm lens until I used Jason’s extender. I still am looking for the perfect moon photo op with the moon rising above the desert mountain or above a city skyline or farm house. Each time I’ve seen this, I was in a car and my camera was home. I have planned for the shot, scouting out sites, watching the “moon rise time tables” etc., but something has always prevented the shot. Some day! Beautiful indeed. You make me want to brave the cold and give this a shot. As a fellow moon-gawker, this one is a favorite. Sounds like you have your son’s Christmas present already known for next year in replacing his 2X.